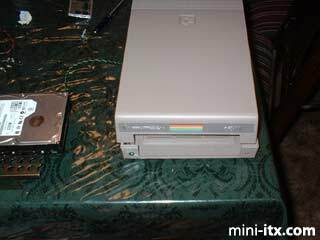 The "Commodore 1541 Disk Drive ITX PC"
The original project involved building a pc from a mail box bank that my father builds and sells at craft fairs. 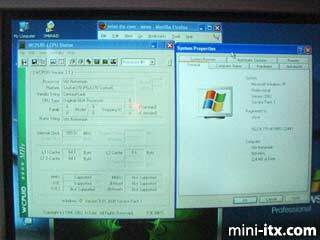 But this was a custom build, that would take alot longer to build. So with parts in hand and a boring Saturday, I began ripping and old Commodore 1541 5-1/4" disk drive. Everything just barely fits, with a little help from Dremel tools. The finished project. Notice the plastic film on the Commodore label, all original baby! An empty case ready to go. 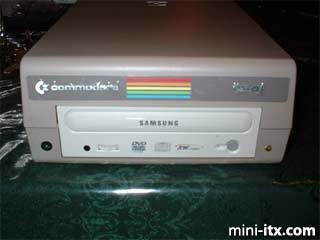 I think Commodore "designed" the case with mini-itx in mind. 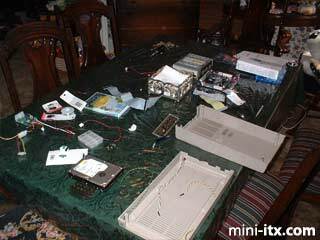 The dining room table (laboratory), with many pieces all over the place. Somehow everything fit. 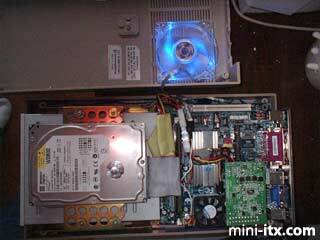 The space between the motherboard and DVD drive is 1/16 in. 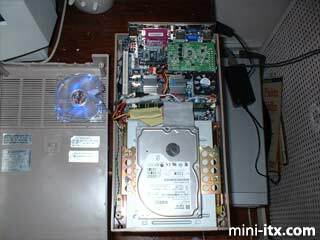 The DVD drive was placed exactly where the original drive mechanism was. Another view of the works. The CPU fan is turning, but the camera caught it in mid sentence. 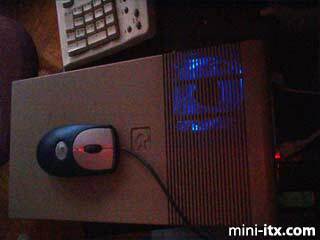 The fancy blue case fan actually fits perfect with a cut here and there, but I cannot use the PCI port. The obligatory "project" with cheap monitor picture. A yellow led from an old computer, the hard drive blinky light. The case was first build with no fans. WOW it got really, really hot. The CPU was at 65 C, and the drive case plastic was stinking of an old skunk. 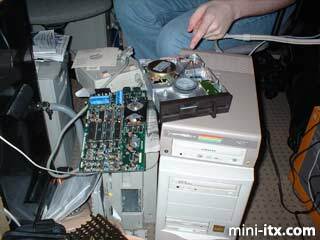 The DVD and hard drive were super hot. Yet, everything remained stable. 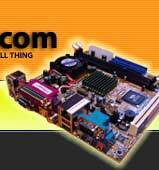 I installed (2) Antec case fans, one, you cannot see under the motherboard, and one on top. The processor loaded at 90% for 4 hours stays at 38 C. The case is warm but normal for a computer. 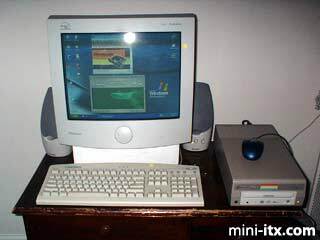 Eventally I would like to take the original 5-1/4 mechanism and fit a slot-load DVD drive in it. Making it almost all original to the untrained eye.